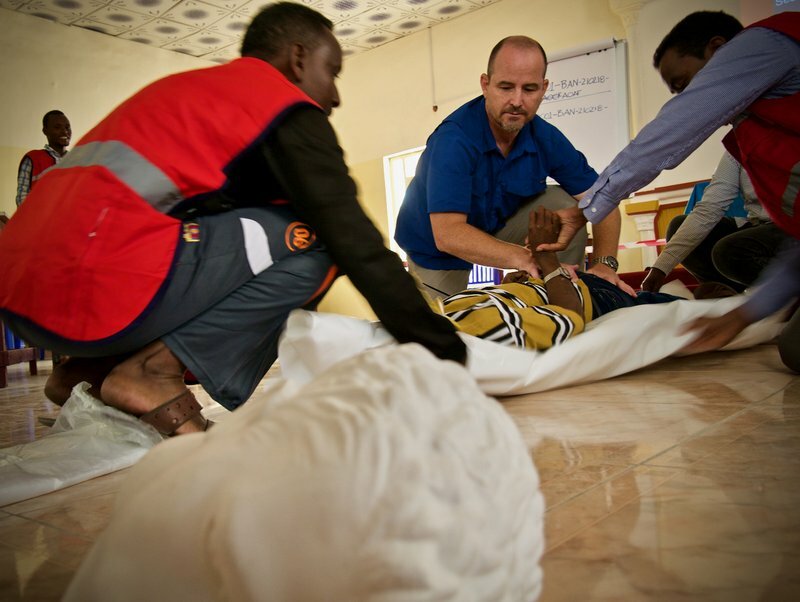 This week, the International Committee of the Red Cross (ICRC) held the first-ever training in Somalia on the management of human remains in mass casualty events. The training drew 30 first responders from the Somali Red Crescent Society (SRCS), Aamin ambulance, medical practitioners from the Madina and Keysaney hospitals and other agencies that would be deployed to the scene when disasters strike. ICRC forensic expert, Stephen Fonseca, took the participants through the risks first responders should be wary of when entering the scene in the aftermath of a catastrophe. Participants also role-played in different disaster simulations where they would handle the dead and human remains with dignity and respect. They were shown how to collect data and create a tagging system for bodies so that information can be easily retrieved and families can identify their loved ones. Proper and dignified management of the dead is a key component of ICRC’s work in Somalia. How corpses are dealt with can have a profound impact and long-lasting effect on the mental health of survivors and the community.